…for Israel, the most pervasive myth is that there is no Palestinian partner for peace. Palestinians are irredeemably rejectionist, runs this argument; they will not give up on their impossible goals and have never made real compromises, in spite of every generous Israeli proposal. The truth is that the history of the Palestinian national movement is one long series of military defeats and ideological concessions. Each of those slowly moved the Palestine Liberation Organization from rejection of any Israeli presence to acceptance and recognition of Israel on the pre-1967 lines, compromising 78 percent of historic Palestine. For years, the international community bullied and cajoled the P.L.O. to accept a Palestinian state in the West Bank and Gaza, the remaining 22 percent. In the last quarter-century of intermittent American-led negotiations, the powerlessness of the Palestinians has led to still further concessions. The P.L.O. has accepted that Israel would annex settlement blocs, consented to give up large parts of East Jerusalem, acknowledged that any agreement on the return of Palestinian refugees will satisfy Israel’s demographic concerns and agreed to various limitations on the military capabilities and sovereignty of a future state of Palestine. During that time, Palestinians were never presented with what Israel offered every neighboring country: full withdrawal from occupied territory. Egypt obtained sovereignty over the last inch of sand in Sinai. Jordan established peace based on the former international boundary, recovering 147 square miles. 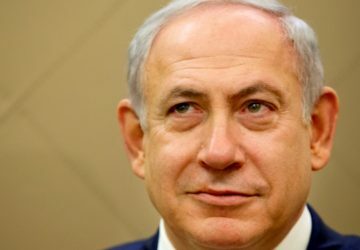 Syria received a 1998 proposal from Prime Minister Netanyahu (on which he subsequently backtracked) for a total evacuation from the Golan Heights. And Lebanon achieved a withdrawal to the United Nations-defined border without granting Israel recognition, peace or even a cease-fire agreement. The Palestinians, though, remain too weak, politically and militarily, to secure such an offer, and the United States and the international community won’t apply the pressure necessary to force Israel to make one. Instead, the United States and its allies pay lip service to the need to end the occupation, but do nothing to steer Israel from its preferred option of perpetuating it: enjoying the dowry, denying the bride. Nathan Thrall, “Israel’s Everlasting Occupation”, The New York Times (4 June 2017), SR4.